Wayne, Pa is nestled along the Main Line, and unlike some of the other towns around it, Wayne was built with purpose and careful consideration to every detail. 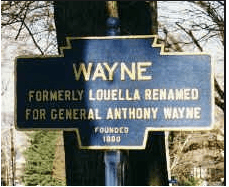 Originally named Louella, and later renamed in honor of General Anthony Wayne, a key figure during the American Revolution, the town is full of history. The Downtown Wayne Historic District was named to the National Register of Historic Places in 2012. There is a lot to see and do in the geographical surroundings of Wayne, with Valley Forge to one side and Philadelphia the other, but there is no reason to venture out too far to find just what you are looking for on any given day, as Wayne can provide plenty of entertainment for anyone. One of the great gardens of the region, Chanticleer is regarded by some as the most romantic and exciting public garden in the nation. Owner Adolph Rosengarten Jr. died in 1990, leaving the entire property for the public to enjoy. There are 20 full-time staff members, including 14 gardeners and groundskeepers, assuring that Chanticleer remains at the pinnacle of horticultural excellence. Dubbed as a garden of pleasure and learning, Chanticleer’s pristine grounds are sure to bring out the green thumb in all of us. Another historic venue in Wayne is the Wayne Hotel. Originally built in 1906 and named the Waynewood Hotel, the building has changed hands from private ownership to the Presbytery of Philadelphia when it was used as a home for retired senior citizens, to the Congregation Or Shalom in the early 1980s and used as a synagogue, to its current private ownership. In 1987, the hotel was entered into the National Register of Historic Places. Wayne Hotel has gone through extensive renovations since then, balancing modern amenities with the charms of times past. Having celebrated its 300th anniversary of the laying of the church cornerstone on May 9, 1715, St. David’s Church resides as the largest of the 157 parishes of the Diocese of Pennsylvania. The church has been continually used except for a few years during the Revolutionary War and is memorialized in the 1880 poem by Henry Wadsworth Longfellow, “Old St. David’s At Radnor.” The graveyard on the premises is where General Anthony Wayne was laid to rest. If history is your thing, a visit to St. David’s is a must-see. Coinciding with the rich history of the town, the Wayne Art Center has its own treasured past. Establish in 1930 as the first of its kind along the Main Line, it now stands as a beacon of artistic light, focused not only in the visual arts, but drama, music, crafts and even the culinary arts. 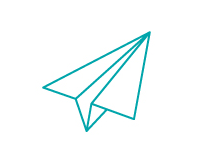 A non-profit organization determined to enrich the community through art, the center provides an array of diverse educational programs from workshops, to lectures to community outreach, all designed to bring out the artist in everyone. With over 6,000 enrolled students and more than 30,000 visitors each year, the Wayne Art Center has become a hub for artists of all walks of life. If it is food you desire, take a short trip to the Lancaster Farmer’s Market. With its roots dating back to the early 1930s, the market is a cornucopia of all things delectable. Whether it is smoked meats, seafood, baked goods, fresh fruits and vegetables, dairy, nuts, coffees and other specialty shops, you won’t leave the farmer’s market empty handed. A day of shopping and pampering oneself can be accomplished in one destination, as the Eagle Village Shops provide an array of unique boutiques, from clothing and accessories, to fine jewelry, to health & beauty, fitness, interior design, home furnishings and other specialty shops. No need to venture off if a day of shopping builds up your appetite, as the Eagle Village Shops feature five restaurants on the premises, sure to meet any of your culinary desires.